While formal tailored dressing in suits is all well and good, sometimes in the modern age the whole shebang isn’t always appropriate; there are often times where something more casual is the best bet, so it’s advisable to have at least one or two go-to outfits in your wardrobe that can give you a sharp air of refinement and class, while still being a bit more down-to-earth. Here’s our pick of five essential looks for business casual wear. 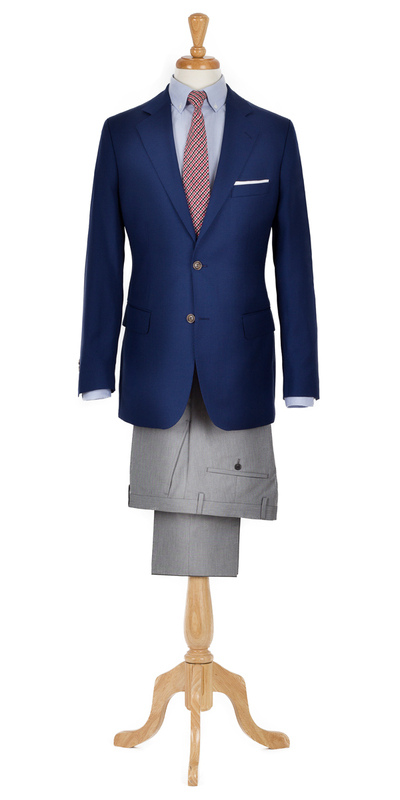 A navy blazer is a staple of any well-dressed man’s wardrobe, it’s one of the most versatile items a gentleman can own and can be dressed up or down accordingly. 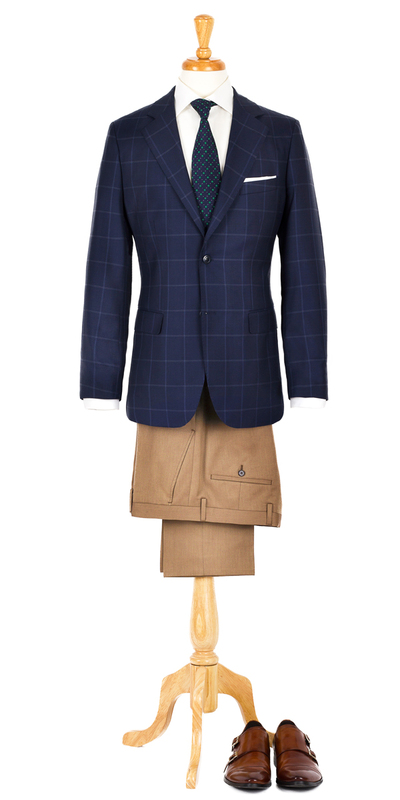 Opting for a check pattern, however, does make the blazer inherently more casual, which is perfect if you need to throw together something breezy at short notice. This look can work equally well with or without a tie. Add a pair of khaki or camel chinos, or grey trousers, and you’re onto a winner. A similar story to the navy check blazer, but being a neutral tone it goes with literally anything. Again, the check pattern makes this much more playfully casual than a plain grey alternative. This option is very easily dressed up with a smart tie, though. 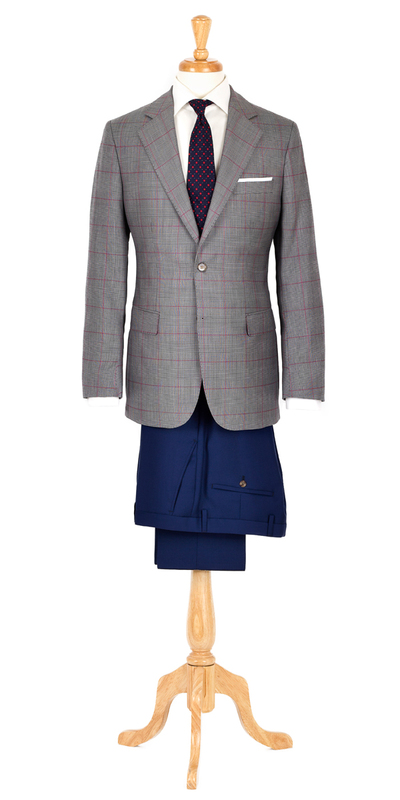 A grey jacket is also a nice option as it gives you the versatility to try trousers in shades of blue (a bit difficult normally), and of course, you can’t go wrong with brown either. Just because check patterns make things more casual doesn’t mean there’s no place for a plain navy blazer in your business casual wardrobe! The surest way to make this even more fitting for business casual is to ditch the tie, wear a patterned shirt, and opt for some chinos. As usual, though, the classic business look of grey trousers with a navy jacket and with or without a tie also works wonders. 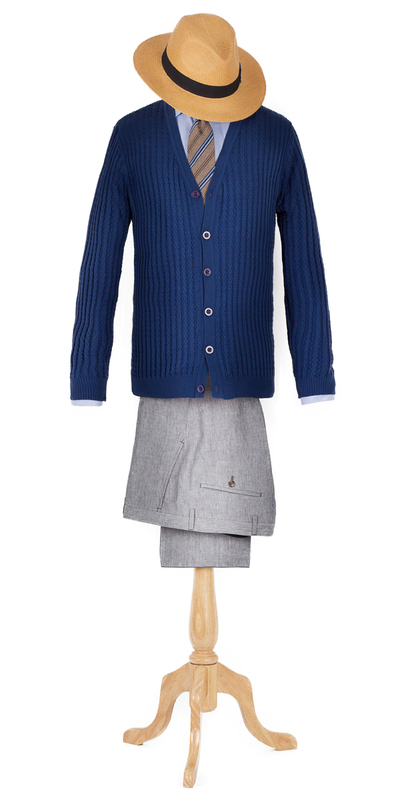 Ditching the tailored jacket is a quick and no-fuss way of making your outfit casual, but in order to still keeps things refined a cardigan is your best friend. This option is also a chance to be more playful with accessories such as colourful patterned ties. Tan chinos will keep this down to earth, but you can bring it back up with grey trousers. Jeans might not be the first thing you think of in a tailored wardrobe, but think of it as a modern take on the country gent! 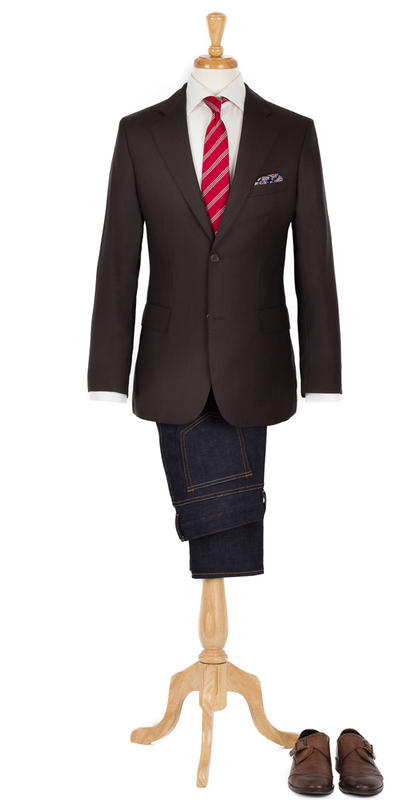 The casual cut and denim fabric compliment a brown tweed sport coat remarkably well for the man about town.